Feminine yet bold, this sterling silver bracelet with Gucci engraved heart motif works with every look. Perfect for adding contemporary chic to your style. 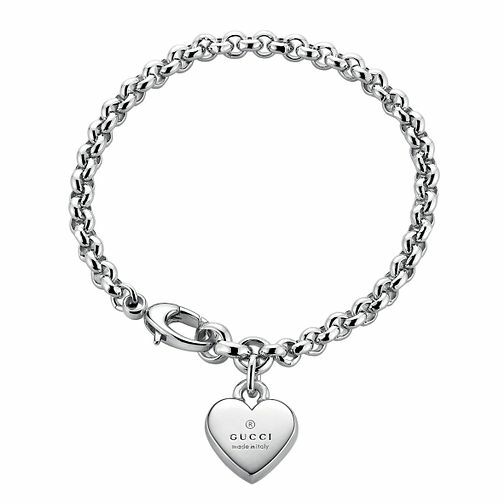 Gucci Trademark sterling silver heart motif bracelet is rated 3.0 out of 5 by 1. Rated 3 out of 5 by Anonymous from Don't pay for the gift wrap Great product but for the second year in a row I pid for gift wrap and a message £3 and didn't get it.